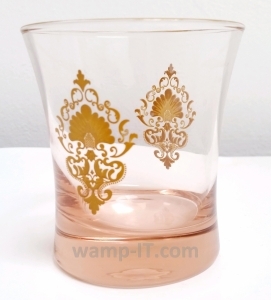 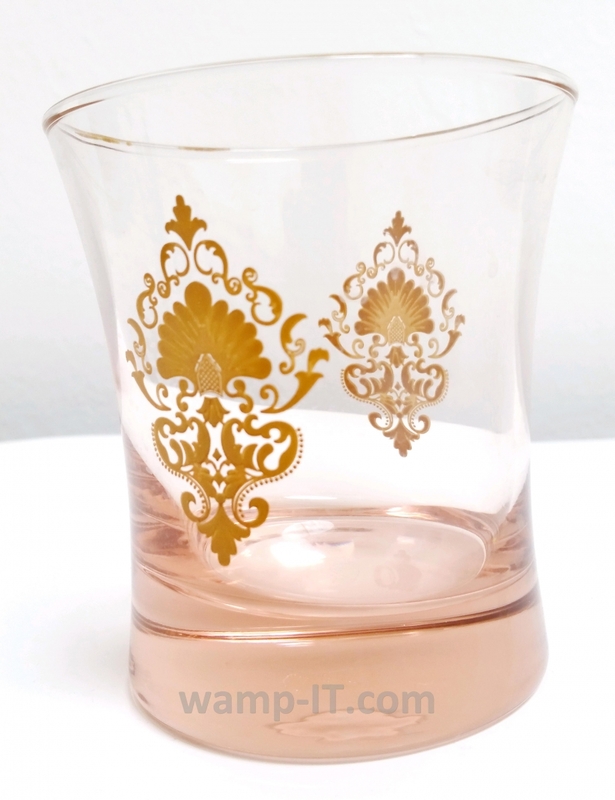 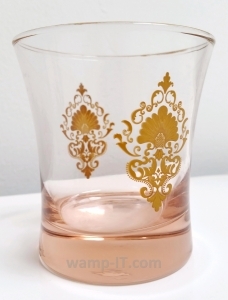 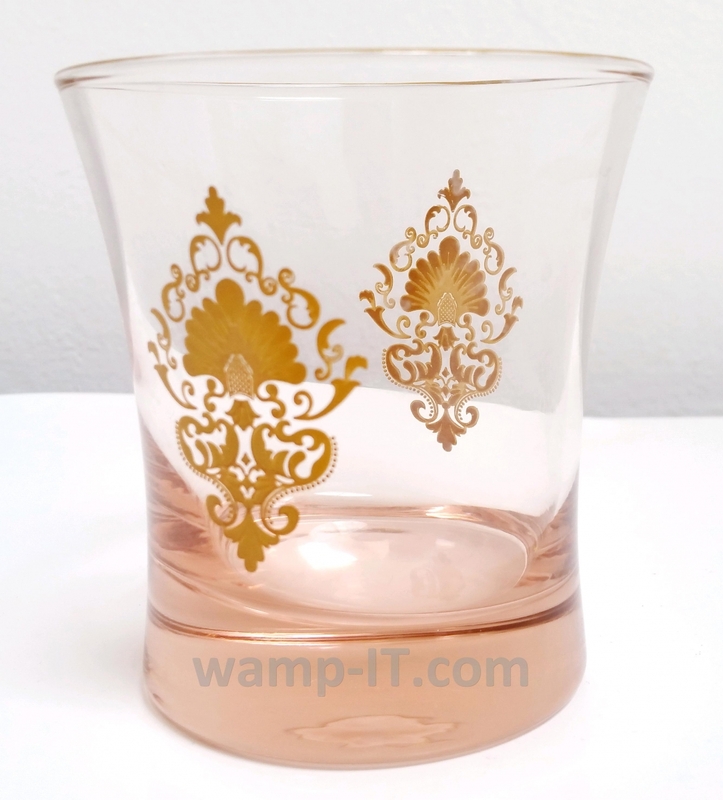 By using ink specifically designed for glass printing, whether frosted glass or clear glass, our production team is capable of doing pad printing on a variety of glass products, glass bottles and drinking glasses etc. 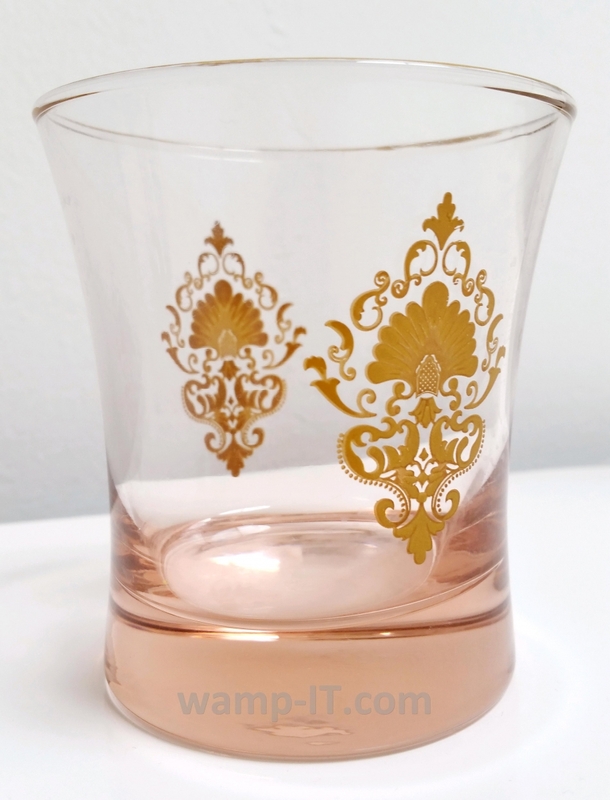 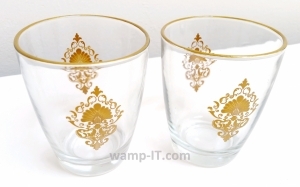 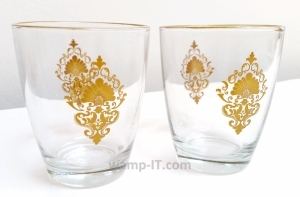 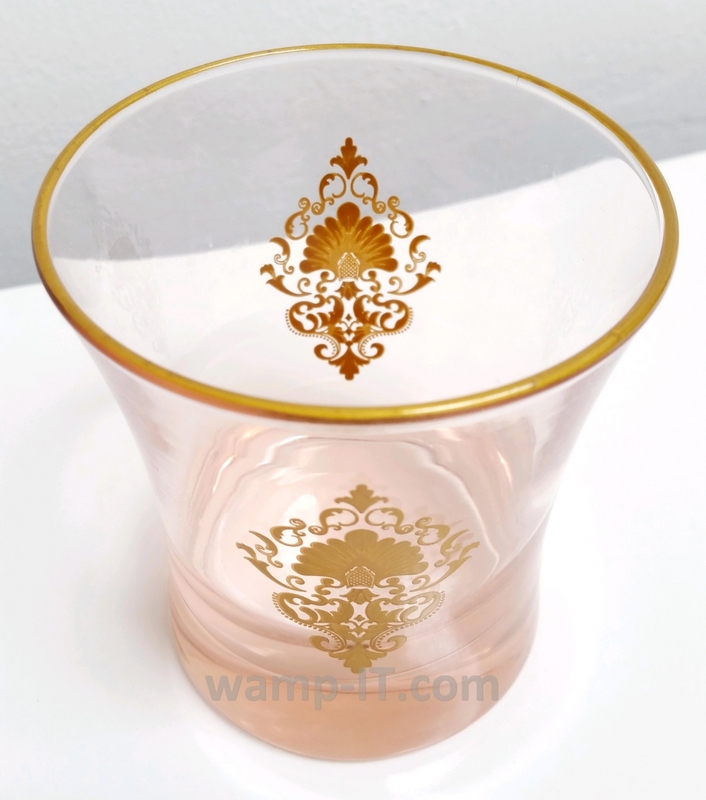 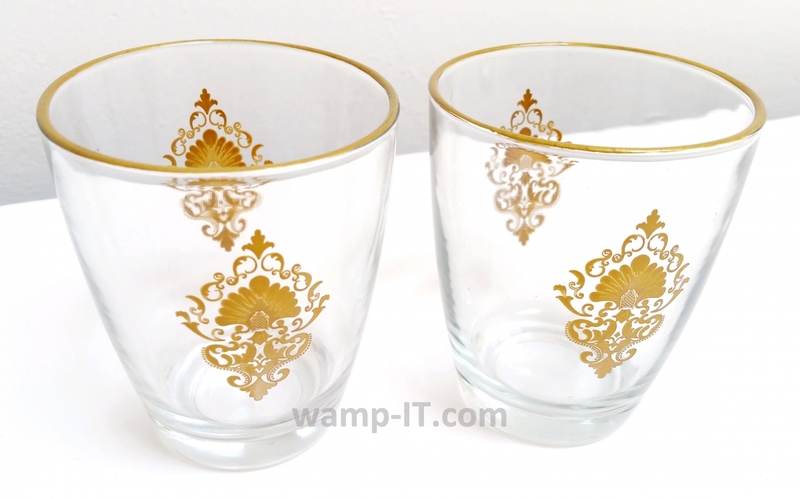 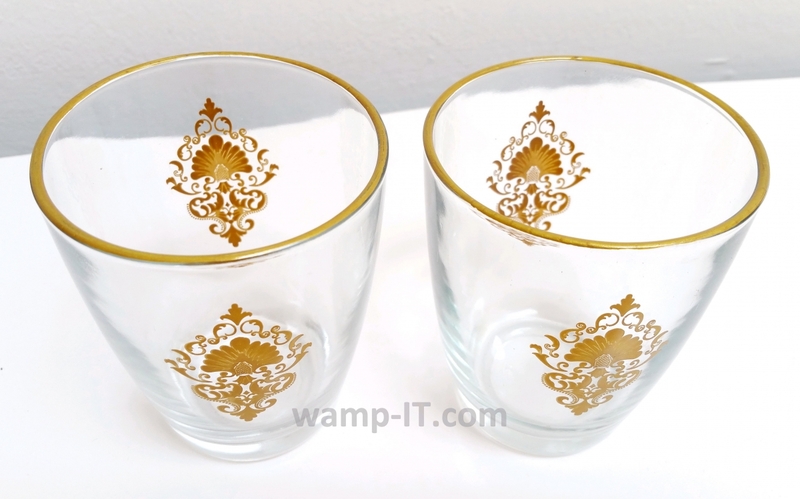 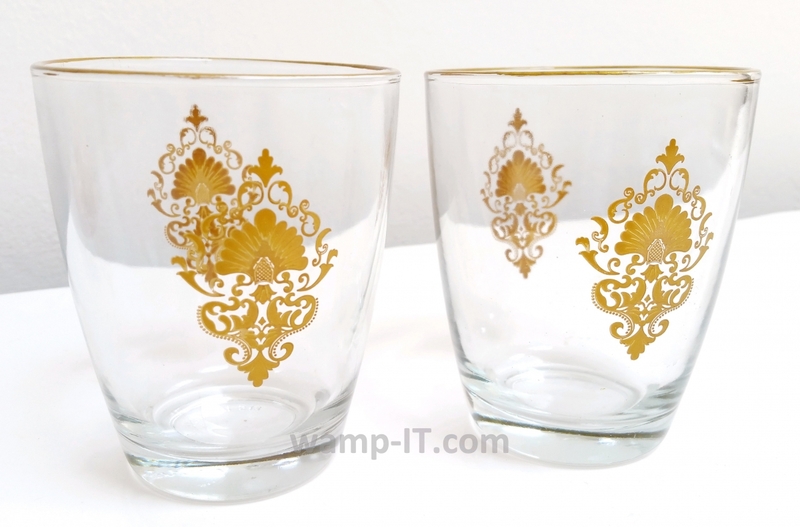 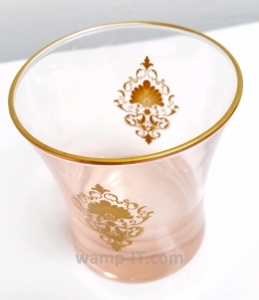 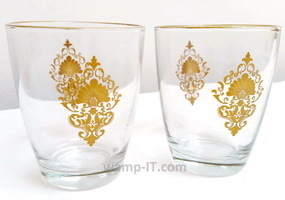 Below pictures show a glass printing project which we have completed for printing 2 tone gold color logo on 2 sides of a glass, as well as printing on the top rim of the glass. Click to enlarge and zoom in.